Hungarian lawmaker from the far-right Jobbik party resigned after he had tried to cover up his Jewish ancestry for as long as two years. Hungarian lawmaker from the far-right Jobbik party has resigned from his seat in the European Parliament after he had tried to cover up his Jewish ancestry for as long as two years. Csanad Szegedi was revealed last month to be the grandchild of an Auschwitz survivor named Magdolna Klein. “When Csanád’s maternal Jewish heritage came to light we still called him a comrade and friend, but fewer and fewer people believe the unrealistic claim that he did not know about this earlier,” Jobbik deputy chairman Novak Elod said in a Tuesday Facebook post. Vona, who denies the claim, said that Szegedi’s Jewish ancestry is not the reason for the fallout. Rather, Jobbik takes issue with Szegedi’s attempts to conceal it, he maintained. In a June interview for the party newspaper Barikád said he was “coming to terms” with his Jewish roots. Szegedi said that he became aware of his family secret only in December last year. However, in a 2010 audio recording posted on a far-right blog, Szegedi is supposedly heard offering “completely legal” EU perks to a disgruntled rival in exchange for his silence, The Budapest Times reported. 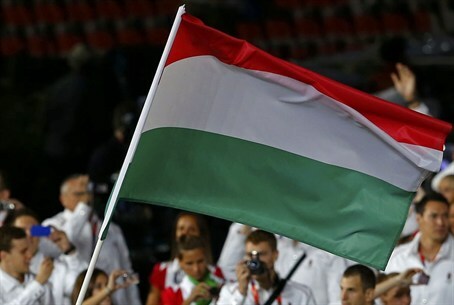 The resignation is meant “to prevent further attacks against Jobbik by enemy forces,” he added. “I cease all my domestic political activities and I continue my work solely as a member of the European Parliament."